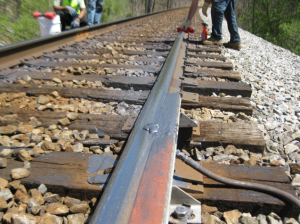 Tie replacement taking place in 2012 along the South Orient Rail line. Rail specific and rail related projects across six states have been selected to receive grants as part of the Fostering Advancements in Shipping and Transportation for the Long-term Achievement of National Efficiencies (FASTLANE) program. The grants are authorized under the Fixing America’s Surface Transportation (FAST) Act and have been submitted to Congress for a 60-day review before they are finalized. 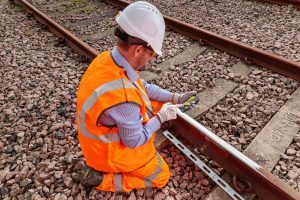 The rail project awards total $56.57 million, representing more than 70 percent of the $79 million in projects selected by the U.S. Department of Transportation (USDOT). The largest grant of $9.9 million will go toward the Northern Columbia Basin Rail Road Project at the Port of Moses Lake in Grant County, Wash., to provide rail access to the port, which currently has none. 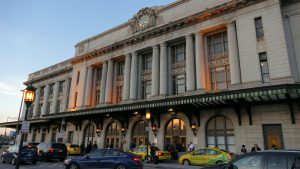 The $30.3-million project will construct a new 4.5-mile route, reroute aging existing rail infrastructure to the new route, upgrade and modernize three miles of existing rail line and construct three miles of new rail to link industrial sites. The Ports of Indiana was selected for a $9.85-million grant to construct a series of efficiency-enhancing improvements, which includes a new rail connection and west-side rail yard, that will allow the port to increase its cargo handling capacity. Taylor County Florida will receive $8.67 million for the Competitiveness & Employment by Rail Project, which will rehabilitate the Georgia & Florida Railway. The project includes upgrading approximately 19 grade-crossing warning devices, rebuilding 90 crossings, work to harden 16 bridges, installing 70,000 crossties and resurfacing approximately 80 miles of rail line. 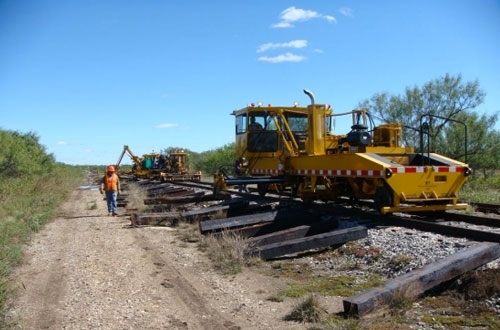 The Texas Department of Transportation was selected for a $7-million grant to repair the Presidio-Ojinaga International Rail Bridge and rehabilitate approximately 72 miles of South Orient Railroad. The line rehabilitation work includes replacing approximately 15,000 crossties, repairing 38 bridges and rebuilding 37 grade crossings. The city of Akron, Ohio, will receive a $5.72-million award for the Evans Avenue Railroad Grade Separation Improvements project. 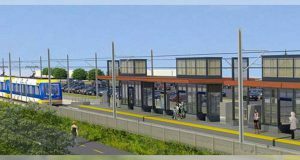 The $9.53-million project realign a short section of Evans Avenue and build two bridges over existing CSX and Akron Metro Regional Transit Authority rail lines. The two at-grade crossings see approximately 4,000 vehicles and 42 passenger and freight trains per day. 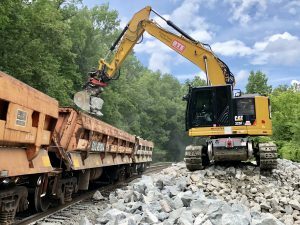 As reported on Friday, the Maine Department of Transportation has been awarded a $7.89-million FASTLANE grant for the Maine Railroad Bridge Capacity project in northeastern Maine and the North Central Mississippi Regional Railroad Authority was awarded a $7.54-million grant for improvements and repairs to a rail line between Grenada and Canton. The projects selected are part of the Small Project Fiscal Year 2017 FASTLANE grants. USDOT is accepting applications until Nov. 2 for FY2017 Large Project grants and FY2018 Large and Small Projects under the Infrastructure Rebuilding America (INFRA) Grants program.